Misconceptions about Private Cloud nevertheless still present on the users’ side. 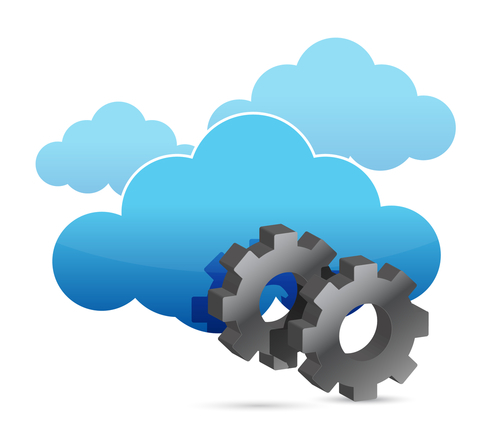 Growth of private cloud computing is driven by the rapid spread of virtualization. Since the entry of the private cloud, it found a position in IT as an essential service broker within the company. Expandability for public and hybrid cloud computing is high. Misconceptions about Private Cloud is also high. There is some consciousness about security in the cloud for public cloud computing among the advanced users, but misconceptions about Private Cloud is mostly not clarified as most of the service providers lacks transparency about their service details on their websites. The growth of private cloud computing is driven by the rapid spread and marketing of virtualization and virtualization management, the growth for private cloud is for offerings and the pressure on IT to get things faster and at cheaper price. A common understanding of error, is the simple math of making private cloud and virtualization equal. While the virtualization of servers and infrastructure constitutes an important basis for moving to the cloud, but we should distinguish two things. Virtualization of resources such as servers, desktops, storage, networks and applications can be dynamic and granular conceived as a common pool and redistributed at will. Virtualization is a granted well defined technology. Whole range of possibilities can be virtualized : virtual machines, hosts for operating systems and applications, software for storage and grid computing abstraction and horizontal scaling and cluster tools. All this creates only the quasi abstract base for misconception about Private Cloud. Private cloud computing is a type of cloud computing, which is used by only one organization. At least be maintained at all times so that a company can operate isolated from the rest of the world in the cloud. Through private cloud computing, a company can reduce operating costs by eliminating usual tasks associated with standard offerings. In addition, hardware costs can be reduced because resources are used efficiently. These benefits on the cost side, however, must not lead to a concept that – Private Cloud makes the things cheaper. Immediate savings might not justify saving the initial investment when compared one versus one. Private Cloud brings some advantages over bare metal – agility, speed to access, scaling for dynamic on demand situation and experimental facilities for business units. The above links are NOT automatically added! They are for the reason – to understand the facts and current situation. Private cloud is defined solely by the fact that it is personally attributable to – regardless of location, ownership or responsibility for management. Majority are on-premise private cloud, but growth to models based on outsourcing and off-premise virtual Private Cloud are growing. There will soon be more flexible solutions in which, for example, data centers and equipment would be shared with others. It is conceivable that such resources are indeed shared, but be isolated via Virtual Private Networks. Therefore really safe at least more than from now. Infrastructure-as-a-Service ( IaaS ) is indeed currently as the fastest growing cloud computing segment. However, IaaS is merely the basic virtual Datacenter ready without changing the fundamental IT resources into an easily consumable array of services. However, in conjunction with the offers from the private cloud, Platform as a Service ( PaaS ) are offered. The basic thing is – Private Platform as a Service ( PaaS ) might not be based on real Private Cloud but virtual private cloud. Security and maturity of management for the necessary compliance is still absent in Private Cloud. This Article Has Been Shared 811 Times! Cite this article as: Abhishek Ghosh, "Misconceptions About Private Cloud," in The Customize Windows, June 9, 2013, April 18, 2019, https://thecustomizewindows.com/2013/06/misconceptions-about-private-cloud/.